This delicious fall dessert is easy to make and guaranteed to be enjoyed by all! 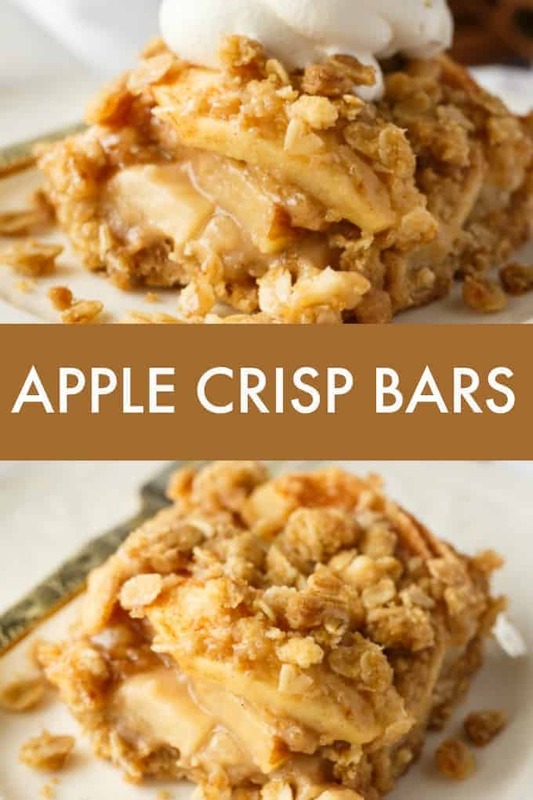 I adore apple crisp and this recipe is similar, but you can cut them into bars once they cool. 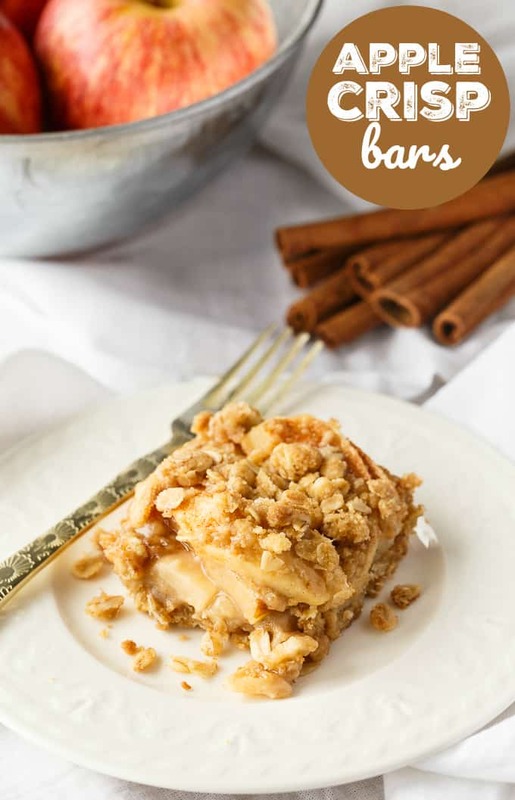 The bottom layer is a sweet oat cake and is followed by a mouthwatering layer of apples. I used Royal Gala apples in this recipe, but feel free to use whatever you have on hand. 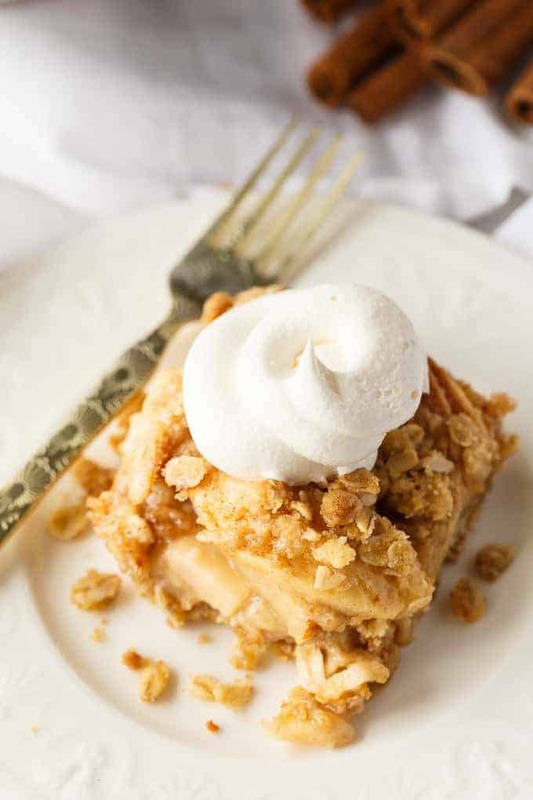 The topping is another layer of oats that creates a streusel-like topping. I served mine with whipped cream because John ate all the vanilla ice cream. It would taste yummy with both! Nothing says fall more than apples (and pumpkins), right? Enjoy it year round, but fall seems to be the time of year that we crave these kinds of desserts. 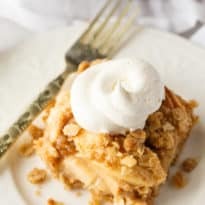 Craving more apple desserts? Great, because I have some for you. Try this Apple Raisin Cake, Apple Magic Dessert or Caramel Apple Cookies. 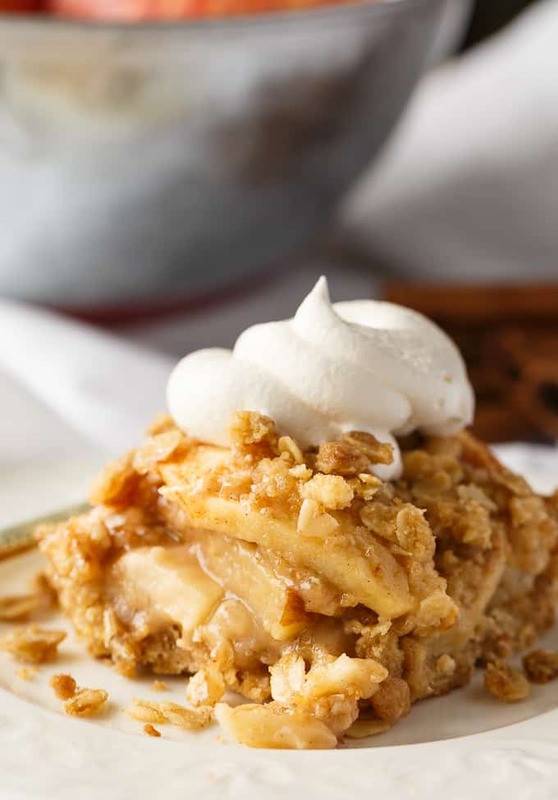 You might also like this Apple Cake with Butterscotch Sauce or Caramel Apple Dump Cake. What fall desserts are you craving lately? This delicious fall dessert is easy to make and guaranteed to be enjoyed by all! Preheat oven to 375F. Grease a square baking pan with butter or cooking spray. In a large bowl, stir together ingredients in oat mixture. Press half of the oat mixture into pan. Arrange apple slices over the oat mixture in the pan. Dot with butter. Sprinkle with cinnamon and sugar. Cover apples with remaining oat mixture. Bake 40 minutes or until golden. Cool. Cut into squares and serve.